Members of the Gay Games Site Selection Committee meet with members of two different D.C.-based LGBTQ sporting clubs during site inspection. Mayor Muriel Bowser's office announced she is flying to Paris this weekend -- not to eat croissants, but to pitch D.C. as the ideal location to host the Gay Games. D.C. is a finalist to host the 2022 Gay Games, a sporting event that aims to promote inclusivity and awareness of the LGBTQ people. The games could attract as many as 15,000 participants, planners say. #InspireDC was trending on Twitter ahead of Bowser's trip. "Not only does it allow visibility of our community to a wider audience, but I think it opens up a greater self-awareness within our own community," Brent Minor, the chair of the D.C. bid committee, told News4 earlier this year. "One of the great benefits is that it helps to break down the stereotypes of LGBTQ folks playing sports." D.C. was selected in February, along with Hong Kong and Guadalajara, Mexico, as one of three finalist cities for the 2022 games. If the District is selected for the games, venues in the area, including the Walter E. Washington Convention Center, the University of Maryland and the George Washington University, will host events. Gallaudet University also is a proposed venue, which Minor said helps emphasize the games' commitment to the deaf and hard of hearing community. "This is the first time in the history of the games that I can recall that this has been a central part of outreach," he said. Anyone can participate in the games, regardless of their sexual orientation or gender identity. In fact, Minor said that about 15 percent of participants do not identify as being a part of the LGBTQ community. "Some are surprised when they see that some of our teams are very competitive," Minor said. "A true sportsman, that's what [competitors are] really looking for. They don't care who they sleep with; they just want to go out there and have a good tennis partner or a good soccer team." Minor has been to six Gay Games and has competed in five of them. He said the games attract all sorts of people and help spread messages of inclusivity and self-confidence. 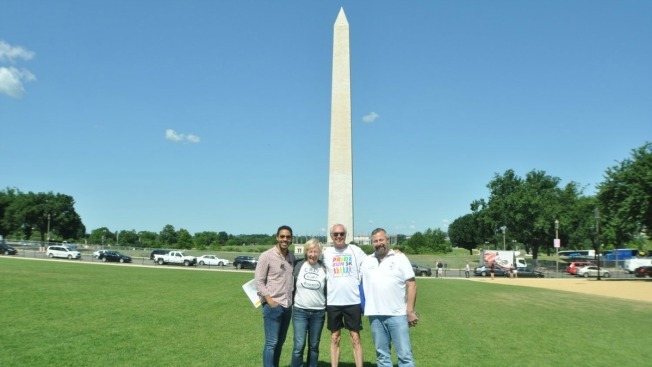 Over the summer, the committee sponsoring the D.C. bid hosted several events for the Federation of Gay Games site inspection committee, including a rally at the National Museum of the American Indian and a gathering at D.C. Mayor Muriel Bowser's home. Bowser has been a supporter of the D.C. bid. She said in a letter that "when so many things in the world divide us, events like the Gay Games bring us together and give us the opportunity to celebrate our differences while recognizing our many similarities." Minor said he hopes D.C. will serve as a venue to attract more participants and spectators to the games. "We're a very accessible city and I think it will draw more people," Minor said. "And getting more people there, the message is spread to a greater audience." The Gay Games have taken place every four years since 1982, making the July 2022 games the 11th event. The next games will be hosted in Paris in 2018. The D.C. committee will make its final presentation at the Paris event, where the host of the next games will be announced, Minor said.